Have you ever said "excuse me" to a store mannequin or written a check in January with the previous year's date?' asks Ellen Langer. For most of us, the answer is probably 'yes', but these small mistakes, the author believes, are the tip of a mindlessness iceberg. A Harvard psychology professor, her research into rigidity of mind led to observations about mental fluidity, or mindfulness. One of the great themes of self-help literature is the need to be free of unconsciously accepted habits and norms. Langer's classic shows how we can actually accomplish it. 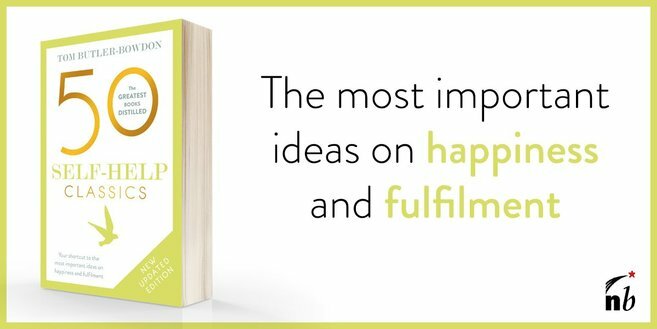 The book is in the best tradition of Western scientific research, filled with the results of fascinating experiments which should appeal to those readers who enjoy Emotional Intelligence or Learned Optimism. To look at the first: Langer says we live and experience reality in a conceptual form; we don't see things afresh and anew every time we look at them. Instead, we create categories and let things fall into them, which is a more convenient way of dealing with the world. Apart from the smaller things, such as defining a vase as a Japanese vase, a flower as an orchid or a person a boss, there are the wider categorisations under which we live including religions, ideologies and systems of government. Each gives us a level of psychological certainty and saves us from the effort of constantly challenging our own beliefs. We divide animals into 'pets' and 'livestock' so that we can feel OK loving one and eating the other. Langer talks about 'premature cognitive commitments', which are like photographs in which meaning, rather than motion, is frozen. To evoke the dangers of false, frozen images, she reminds us of Miss Havisham in Dickens' Great Expectations, who still wore the wedding dress she had donned the day she was abandoned at the altar, but which now hung like faded curtains over her aged body. At a more prosaic level, a child may know an elderly person who is grumpy, and will hold onto a picture of 'old people are grumps' and take it with him into adulthood. In not bothering to replace that picture with different images of later life, the person is locked into a false perception that is likely to be reflected in their own experience. They will turn into an old grump too. This of course applies to other aspects of life; if we are mindful, we will be less willing to take 'genes' as an excuse for behaviour or lack of action. Just because a parent never rose above middle management level, we don't assume we won't become company president. Mindlessness occurs when people accept information in a context-free way. The ability to transcend context, Langer says, is the mark of mindfulness and creativity. She notes that much pain is context-dependent. Getting a bruise out on the football field will matter much less to us than if we sustain one at home. Imagination is the key to perceiving differently. The Birdman of Alcatraz, stuck in a cell for over 40 years, managed to make his life a rich one by his care of injured birds. The implication of these vignettes for personal development is clear: we can put up with anything as long as it is within a positive context. Without a defined personal vision, life might seem like a mass of constant worries and annoyances; with one, everything is put into perspective. As Nietzsche said, if you have a 'why', you can put up with any 'how'. Another key characteristic of mindfulness is focus on process before outcome, or 'doing rather than achieving'. We look at the breakthrough of a scientist and say 'genius', as if what he discovered happened overnight. With the rare exception, like Einstein's great year of discovery, most scientific success is the result of years of work that can be broken down into steps. A college student looks at his professor's book in awe, thinking 'I could never write something that good', assuming it must be higher intelligence, not years of study and work, that delivered up the weighty tome. These are all faulty comparisons. The process orientation requires us to ask, not 'can I do it?' but 'how can I do it?' This '...not only sharpens our judgment, it makes us feel better about ourselves', says Langer. Intuition is an important path to mindfulness, because its very use requires ignoring old habits and expectations to try something that may go against reason. Yet the best scientists are intuitive, many spending years methodically validating what appeared to them in a flash of intuitive truth. The amazing thing about mindfulness and intuition is that they are both relatively effortless: 'Both are reached by escaping the heavy, single-minded striving of most ordinary life.' Yet intuition will give us valuable information about our survival and success; we cannot explain where it comes from, but we ignore it at our cost. The mindful person will go with what works, even if it doesn't make sense. In essence, mindfulness is about preserving our individuality. By choosing the mindset of limited resources, by choosing to focus on outcomes rather than doing (process), and by making faulty comparisons with others, we become little more than robots. The true individual is characterised by openness to the new, is always reclassifying the meaning of knowledge and experience, and has the ability to see their daily actions in a bigger, consciously chosen perspective. Langer recognises the parallels in her work with Eastern religion; for example, the Buddhist understanding that meditation is about enjoying a mindful state which leads to 'right action'. Mindfulness, Langer hopes, has the same effect, and therefore has important implications for the health of society, not just the individual. The beauty of mindfulness is that it is not work; in fact, because it leads to greater control of our own thinking, it is to use Langer's word, 'exhilarating', in a quiet way creating excitement about what is possible. Its ideas may seem difficult, but Mindfulness was written for a popular audience and is quite short. It has none of the hoopla common to self-help writing; people value it for its fine distinctions and insights based on years of research, and like it for its understatedness. "Out of an intuitive experience of the world comes a continuous flow of new distinctions. Purely rational understanding, on the other hand, serves to confirm old mindsets, rigid categories. Artists, who live in the same world as the rest of us, steer clear of these mindsets to make us see things anew." Born in 1947, Langer obtained a BA in Psychology from New York University in 1970, and her Ph.D. from Yale in 1974. From her position as Professor of Psychology at Harvard University, she has produced several scholarly works, numerous journal articles and chapters in edited collections. Mindfulness was the product of over 50 experiments, mostly with elderly people. The experiments led Langer to believe that the protectiveness of nursing homes leads to reduced autonomy and responsibility, which hastens ageing. The book has been translated into 13 languages. Counter clockwise: mindful health and the power of possibility (2009). Her entry on Mindfulness/Mindlessness appears in Encyclopaedia of Psychology (R. Cosini ed. 1994). She lives in Massachusetts.